Loyalty Tickets for the 2019 Newberry Event are now on sale. A 3-Day Early Bird Ticket is $75. Please consider a tax-deductible, charitable contribution to the Newberry Event. A limited amount of dry-RV parking sites are available for an extra nightly fee only to guests staying all 3 nights. This is an on-site dry RV spot for Thursday, July 25 through Monday, July 29, 2019. You should arrive by Thursday Evening, but no later than Friday. This pass does not include tickets for the event, which must be purchased separately. There is no guarantee you will be able to leave once setup until Sunday evening. Access to toilets and wash station provided. NO FIRES. 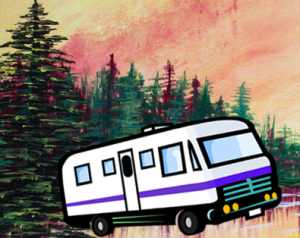 RV CAMPING PASS coming soon. The Newberry Event is proud to be a “Do it Yourself” MS Fundraiser! This fundraiser event is for Oregon’s Multiple Sclerosis Society. If you can’t attend we would very much appreciate a kind tax-deductible donation of any amount, through the website or checks to “Newberry Event”.